This cup was donated in memory of Chris Chaplin. It is awarded annually to "an individual who has done most to promote the sport of badminton AND the West Dorset Badminton League through personal efforts". Chris was coach of Somerset Juniors in the 70’s and 80’s and helped to popularise the game in the local area. He was a member of the Westfield Badminton Club. Nigel was a member of the West Dorset League Committee for a number of years in the late 90’s, part of that time as Chairman. He was instrumental in the formation of the Woodman Inn badminton club and was committed to the introduction of the sport to young players. To this end, he was heavily involved with junior coaching in the area. Peter was Chairman of the League in the late 80’s and instrumental in the production of our Rules as seen today. 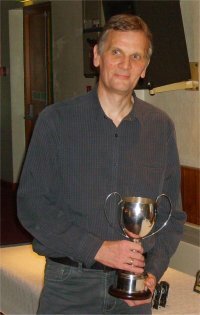 A member of the Yeovil Graduates badminton club for many years, he helped that club to become the strongest in the area. He was a very keen player, representing Somerset for many years, before he moved away from the area in 2002. Wally was a long-serving member of the Committee who promoted the sport in the Weymouth area where he was a member of the Swirvs badminton club. Maurice has for many years been involved in the coaching of young players. He is a member of the badminton club at Bishops Caundle. Stephen has been on the League Committee for many years, initially as Tournament Secretary and since 1997 as Results Secretary. During the last year he has been responsible for producing the League’s website that you see today. Chairman of Westland badminton club for many years, he is currently playing for Wessex Wanderers where he is the club Treasurer. Jane has developed Yeovil Graduates junior section into a thriving club and been the driving force behind efforts to obtain Silver Accreditation. She has motivated others to become involved with coaching and has encouraged a County Junior to be a regular member of her coaching team, acting as a role model for others. 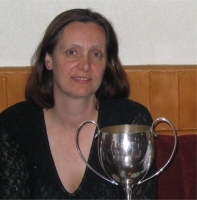 Jane continues to play at both Club and County level and is currently the Somerset County Veterans Co-ordinator after having been the Over-40’s Veterans Captain for a number of years. 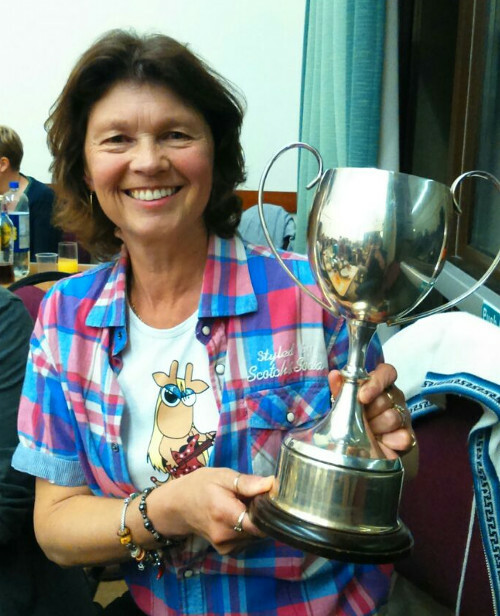 Jane is very understated about her activities and achievements, yet the hours that she spends on badminton-related issues on behalf of other people is far greater than most players are willing to undertake, demonstraing her commitment to the cause of promoting our sport. Ron has played for Dorchester Badminton Club for nearly 30 years. During the 80’s and 90’s, he ran the Dorchester Junior Badminton coaching and recently he has been running the older section of the junior club. 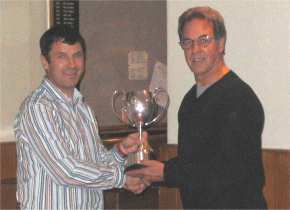 He has been a constant member of the club committee, and Chairman of the club for the past 12 years. In that time he has guided the club from the brink of collapse into the thriving club that it is today. 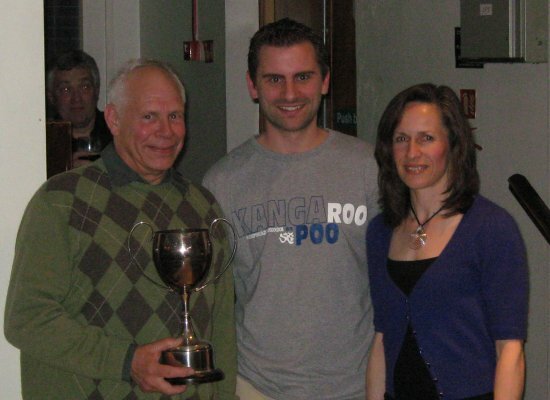 In addition to club duties, Ron has been on the West Dorset Committee for many years, including two periods as Chairman, and is currently the Team Knock-Out Cup Secretary. He has organized the Annual Presentation Function on a number of occasions. Andy has been a faithful member of Yeovil Graduates Badminton Club for over 20 years where he has been a team captain, tournament organiser and committee member in various roles. 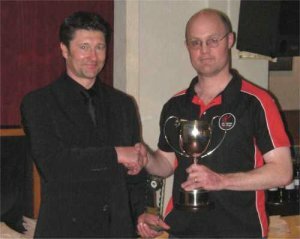 He has served on the West Dorset Committee for 10 years, initially as KO Tournament Secretary but more recently as Treasuer, a role that has been expanded to cover the organisation of League sponsorship. He is always prepared to assist with the various tournaments, particularly preparing the paperwork and calculating handicaps. He has served on the Somerset Committee as the affiliation secretary for many years dealing with the complex and increasingly technological paperwork. He has refereed at the County Restricted where he has had to deal with some tricky issues. All this has been done with patience and understanding - I don’t think he has ever lost his temper, even under extreme pressure. Overall he is a thoroughly nice bloke and a fantastic ambassador for the sport. Martin has been a long-standing member of the Crewkerne Hermitage Badminton Club for over 20 years and in that time he has taken on a variety of roles working hard to keep the club operational despite mounting difficulties. Martin has encouraged younger players to join Crewkerne and was involved in the development of a Junior Section at the Club. He has represented Crewkerne on the West Dorset Committee over the years and has been Vice-Chairman once and Chairman of the League twice, having volunteered to stand again when the team that was selected under the rotation system failed to honour their commitment to provide a Chairman and Past Chairman. Martin was responsible for producing the WDBL logo used on all official League correspondence today and stirred the Committee to make efforts to recruit new Clubs to join the League. He helped to produce a poster for circulation to sports centres in both Somerset and Dorset in an attempt to encourage existing clubs, groups and individual players to join the League. Eric is a long-standing member of Charmouth Badminton Club, having been involved with the club for over 20 years. Today he is still at the centre of things, performing a pivotal role in keeping the club alive and indeed thriving; no mean feat considering they play in a one court hall that naturally lends itself to more socialising than actual playing. However, Eric is always enthusiastic both on and off court, is welcoming to visiting teams and, apart from all that, still enjoys his badminton! For the past few years, Eric has also been fulfilling the role of League Secretary where he continues to provide a unique service. And for those still in doubt of the man’s genius, there are those still in awe of the man who shared the same billing with The Who on the first day of Radio One, back in 1967. 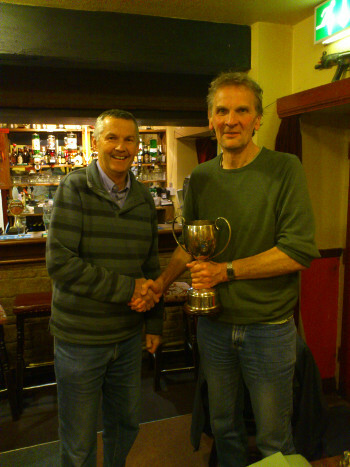 "Each year the league presents the Chris Chaplin Trophy to an individual who has done most to promote the sport of badminton and the West Dorset Badminton League through personal efforts. However this year we have a unique situation, as we are awarding the trophy to two people, not for any kind of promotion of the league, but simply as recognition for their outstanding actions." "As most of you are probably aware, early in the season Steve Rowell passed out on court. If it wasn’t for the instinctive reactions of these two people he would almost certainly not be with us tonight. There is a lot more I could say about that evening but quite frankly no words I can say would do their actions justice. They are quite simply lifesavers." 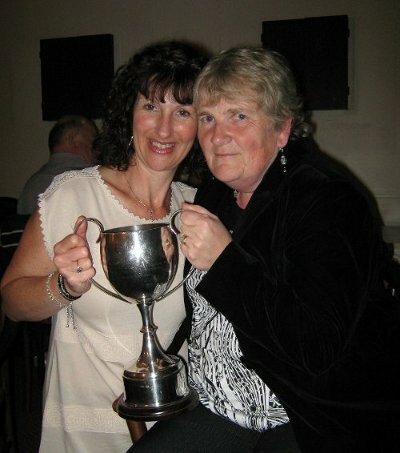 "It gives me great pleasure to award this year’s Chris Chaplin cup to Mary Ballett and Wendy Symonds." Over the last few years Robin has dedicated a lot of his spare time to the Gryphon Badminton Club where he actively promotes the sport encouraging new members to join in, helping them to develop and improve. This allows the club to fully support the local leagues, entering extra teams if needed. He also makes the club fun by arranging many social events etc. Robin has recently stepped down as Chairman of Gryphon but still serves on both the SES and WD committees. He helps to run and encourage participation in a variety of tournaments and organises a successful summer league. Although he doesn't get on with everyone and has his funny ways of doing stuff he has done so much for badminton in this area.